Culturally, Montenegro belongs to the Mediterranean and partly to the Pannonian-Danube heritage. 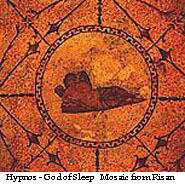 Accordingly, it has been exposed to a strong influence of the the Mediterranean, the Central and East European civilization and culture. The lifes styles and culture of all ethnic groups in Montenegro are best illustrated in its museums, which house over 12 000 artifacts. Montenegrins have accumulated a rich cultural and historical heritage, which dates from the pre-Romanesque, Gothic and Baroque periods. The Montenegrin coastal region is especially known for its cultural monuments, such as the Cathedral of St. Tryphun; the basilica of St. Luke (over 800 years); Our Lady of the Rock (Shcrpjelo); the Savina Monastery; and others. 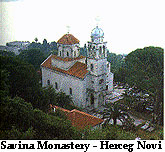 The Byzantine influence in architecture and in the monastery paintings is especially felt in continental part of Montenegro. 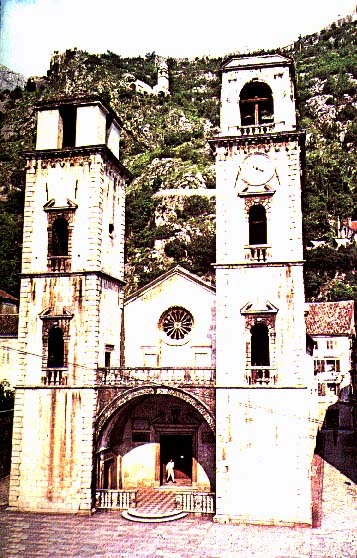 Montenegrin medieval monasteries are decorated with thousands of square meters of frescos on their walls. The first literary works written in this region are ten centuries old, and the first Montenegrin book was printed five hundreds years ago. The first state-owned printing press was located in Cetinje in 1494, where the first South Slavic book was printed the same year (Oktoih). 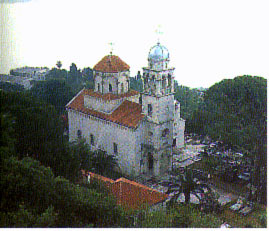 Ancient manuscripts, dating from the 13th century, are kept in the Montenegrin monasteries. The national capital Cetinje is the center of the culture and art in Montenegro, whereas the administrative and center of education is Podgorica. Montenegro's traditional culture revolves around clans, groups of patrilineally related families that at one time maintained tribal identities on their own traditional territories. Increasing integration into the Yugoslav state, including general provision of public education, has brought an end to clan autonomy, but clans themselves remain an important element in Montenegrin social life. A continuing object of complaint has been rampant clan nepotism in the staffing of governmental bureaucracies. Faced with incessant threats from Ottoman armies and rival groups, clans traditionally emphasized personal courage in combat as a major virtue. Despite a relatively small population, Montenegro has developed a wide range of cultural institutions as part of the Yugoslav state. These include theaters, art galleries, museums, and libraries. The republic has emphasized physical education and sports activities. 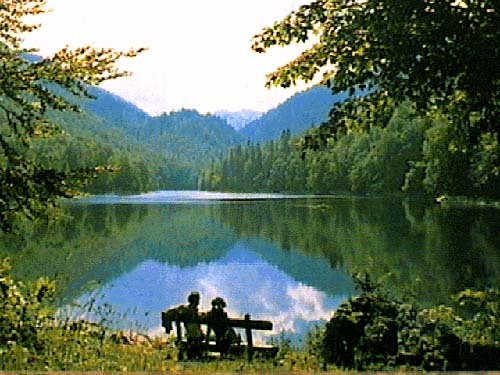 As in Serbia, fishing and hunting are popular. 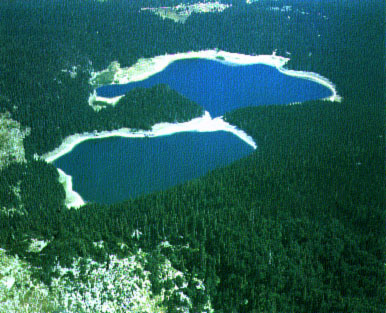 The state also has set aside substantial areas for recreation, including three national parks: Durmitor, Biogradska Gora, and Lovcen. The republic publishes scores of newspapers, including Pobjeda ("Victory"), Vijesti, Liberal, Trend, and the influential independent weekly 'Monitor'. Local presses publish some 250 books each year. There are seven radio stations and one television studio and transmitter in the republic. There is also a Monteengrin news agency - MontenaFax.